The rain on the lens add more light effects. 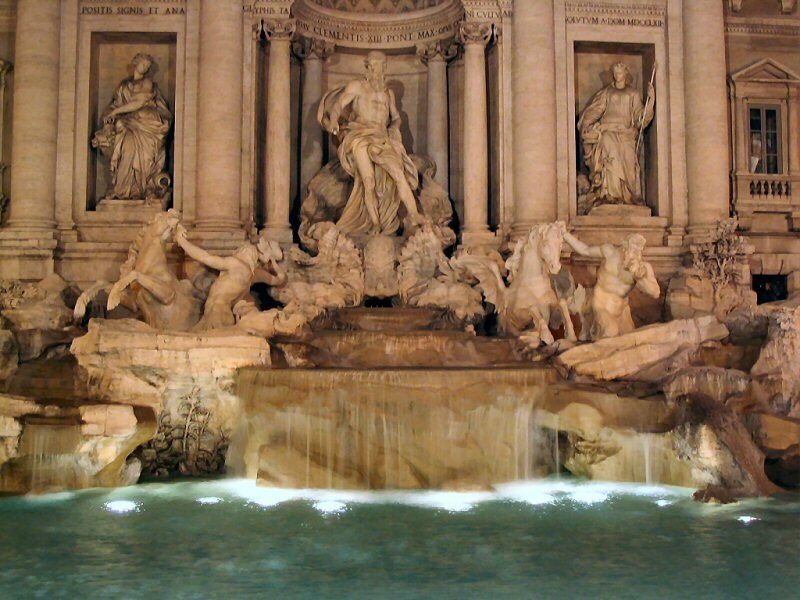 A close view of the Trevi Fountain. The fountain was built by Niccolò Salvi in 1732. 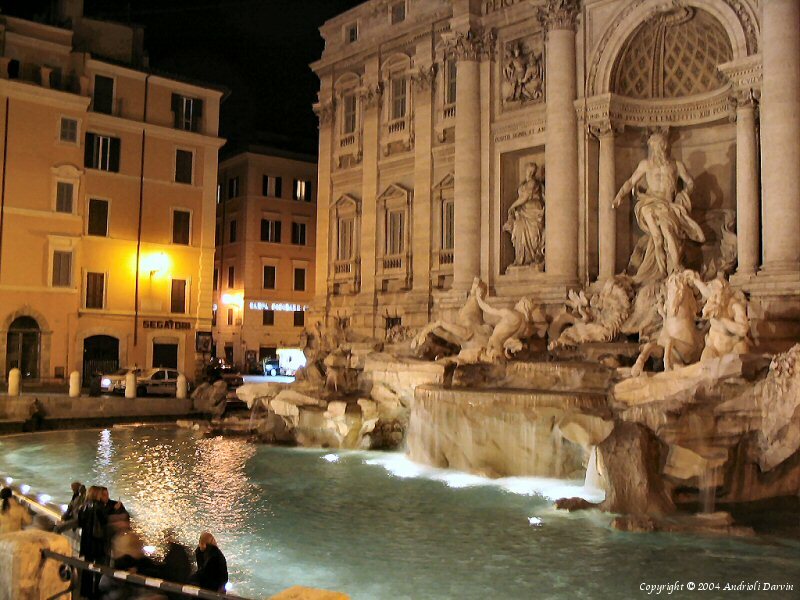 A close view of the Trevi Fountain. Front the Fountain point of view. There are many pictures of the fountain, but from the fountain what you see?